The New Haircare Range That You Are Going To Need – Like Seriously. Trying to achieve ‘cool girl Pinterest hair’ which is totally a thing btw, probably takes up too much of my time- though I’m sure I’m not the only one who is always trying new haircare products to try and achieve ultimate hair goals. I love trying new things out, and although I’m a creature of habit with a lot of things, haircare is not one of those. Over the past few years, I have tried to be more conscious of my decisions when it comes to things like beauty products, and I will try to go for things that are cruelty free, and more natural if I can. Which I think many of us are also trying to do these days, but it can be hard to navigate your way through what works, and what doesn’t. Well, recently I’ve been trying out a new hair range that I am sure you are going to love for three reasons, 1. They’re cruelty free and vegan 2. The products are 97% natural and the most important thing 3.The products actually work and give you hair that could be on Pinterest. I know right? So let’s spill, cause I know you’re eager to find out more. The range is called Noughty Haircare, and they’ve just launched onto boots.com, like I said above they’re natural so the products don’t have any sulphates, parabens or silicones in, and all of the products are vegan and cruelty free too, but do not worry, as everything is super affordable too, with all products being under the £10 mark. I’ve been trying a few products from the range, and here’s the low-down on my faves. My hair gets super greasy, which as you can imagine- I am thrilled about. 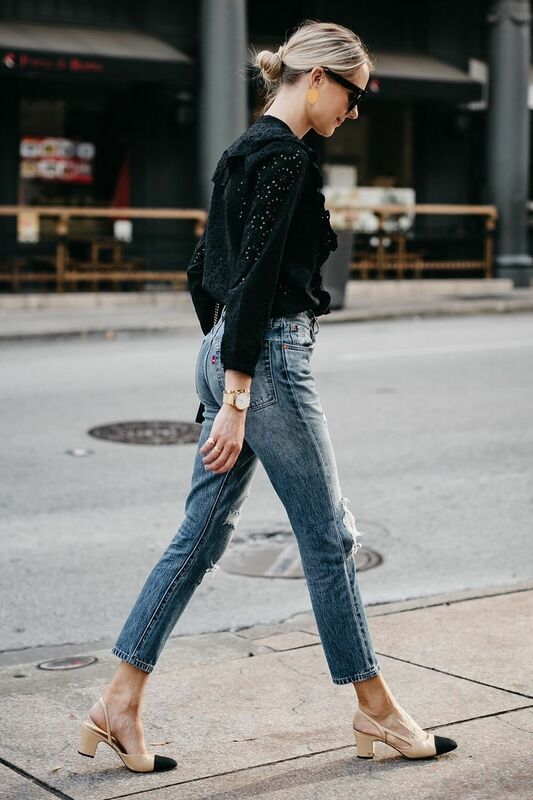 Because of this, I tend to wash my hair with a clarifying shampoo, to get rid of product build up, and oil, etc… I’ve been using the Detox Dynamo Clarifying Shampoo as the first step in my hair care routine, as this helps to give my scalp a fresh start. It’s great for getting rid of chemicals such as silicones and sulphates from previous products I’ve used, and has been helping to keep my hair fresher for longer. It works thanks to ingredients such as peppermint extract, and sorrel extract, both of which help to purify the hair, yet are gentle enough to keep it moisturised and avoid stripping it too much. Once I have used the clarifying shampoo, I use the To The Rescue shampoo and conditioner to add some moisture to my hair, because as well as it being greasy, it can also get quite dry too. I tend to use a little of the shampoo, and then cover my ends with the conditioner, I’ve also been using the To The Rescue moisture mask for a once weekly treatment too! The products smell amazing, and have ingredients like Shea butter, and coconut oil in meaning they are perfect for dry and damaged locks, I’ve found that my hair has been looking so much shinier, and feels so soft. I literally cannot stop stroking it! So these have been great to use considering I recently lightened my hair, so it’s a relief to find products that help keep up the condition of my hair. So I then brush my hair and towel dry it, and use these two products before going onto dry and style my hair properly. I use the Leave In Conditioner to just ensure that my hair stays feeling super soft and shiny. I tend to apply this more to the ends though as they can get quite dry thanks to heat styling. It has a bevy of amazing ingredients such as Shea butter. The To The Rescue Serum is very lightweight yet moisturising, it helps to keep frizz at bay and also protects the hair from heat styling (up to 220C) which is perfect for me who is always using heated rollers and curling wands. The ingredients in the serum are again super moisturising and natural, such as argan oil which I have used before on my hair and loved, and also sweet almond extract which helps to strengthen the hair. These two after shower products, mean that when I dry my hair, it’s feeling so soft, and looking v shiny if I do say so myself. The whole range has left my hair feeling like I’ve just stepped out the salon, and also they make your hair smell really good too, which is definitely something which is important when using hair products. I’ve been really enjoying using these products from Noughty, and love how they have made my hair feel. I love how the products are very natural, and good for your hair, and also that they don’t break the bank either. I’m really impressed and would definitely try more products from the range as there’s so many products to choose from, and something for all hair types. Have you ever tried Noughty Haircare? 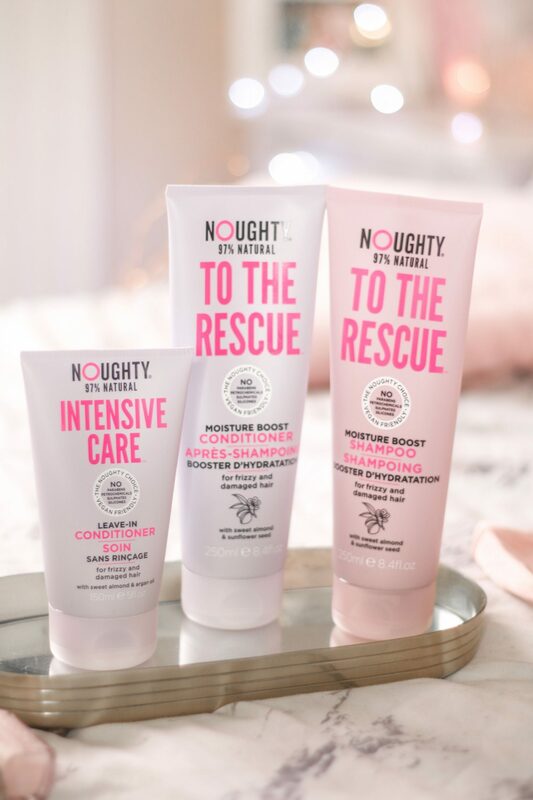 Noughty Hair care products are now available at boots.com with an introductory offer of save 1/3rd so I’ll be stocking up! This post was sponsored by Noughty Haircare, but my opinions are 100% honest, to read how I work with brands, read my disclaimer here.